A group of second-graders scamper into the room and rush to find a seat. Their classmates at Colegio Conrado Colonel are still outside for recess, but they don’t seem to mind. This is something even more exciting. A voice rings out, and silence falls as all eyes turn to the front of the room. One blond-haired boy leans forward in his plush chair as far as he can without falling, his legs dangling above the floor. It’s easy to assume that a television program or fancy electronic toy has entranced these students, but their attention is on something much more ordinary: a storybook. But this isn’t just a book. It’s part of the Kiwanis Club of Aruba’s literacy promotion through the use of kamishibai, a Japanese storytelling technique from the 12th century. This old-fashioned method is sparking something new among Aruba children: a newfound love of reading —and a rejuvenated passion for those who teach them. Measuring at about 21 miles long, the Caribbean island of Aruba might be tiny, but it’s full of history. Spanish explorers, the African slave trade and the Dutch monarchy have all made their marks on the island’s culture, and nowhere is it as apparent as it is during Aruban conversation. Aruba’s 100,000-plus residents speak four languages: Dutch, Spanish, English and Papiamento, the nation’s mother tongue influenced by Aruba’s early African slaves. It’s tough sometimes for children to learn them all—especially when primary-school classes are taught in Dutch, which is a foreign language to students who speak Papiamento at home with their family and friends. It’s tougher still when the national library doesn’t have picture books or early-reading novels in Papiamento. That’s where the Kiwanis Club of Aruba and its kamishibai theaters come in. Kamishibai, which means “paper drama” in Japanese, involves sliding illustrated panels into an open-faced wooden box similar to a puppet theater set. The story itself is written on the back of the panels and is visible only to the storyteller. The method leaves the storyteller’s hands free to gesture and point at the illustrations, and he or she can change the story’s pace and ask questions. Its simplicity is what makes it a powerful learning tool. Working with local author Liliana Erasmus, club members have given every kindergarten and elementary school on the island its own kamishibai theater and two of Erasmus’ books, which are written in Papiamento. With nearly 90 primary schools on the island, the cost to produce the theaters isn’t cheap. Each theater costs about US$200 to build and paint. The process isn’t easy, either: It took almost a full month for carpenter Jairo Rieder Guao to build the theaters, and due to the island’s limited resources, books and illustration panels have to be outsourced to the Netherlands for production. But the Kiwanians and community members involved say it’s all worth it. Kiwanians aren’t the only ones who understand how critical this investment is. College students in Aruba who study education are required to take a class in making and using kamishibai, but building a theater is time-consuming and often too expensive on a teacher’s salary. Rini Boekhoudt, headmaster of Scol Preparatorio Washington’s kindergarten school, saw the impact of kamishibai on her 243 students when Kiwanians presented her school with a theater last year. And now, thanks to the Kiwanis club, her kindergarten students’ enthusiasm for reading will be harnessed again next year. Kiwanians handed over another theater to the elementary school, which will share the tool with its 526 students, including a group of children with hearing disabilities. The Kiwanis Club of Aruba has delivered a kamishibai theater to every primary school on the island, but its work isn’t done yet. Kock’s goal is to present each school with a new book every year until teachers have built up an expansive library. Erasmus hopes to write an Aruban-based fairy tale—an item on her bucket list—and Kiwanians are already talking about building boxes or shelves for teachers to store kamishibai panels. The future of kamishibai isn’t limited to teaching reading skills. Anything that can be taught through illustration can be incorporated into future lessons—which opens up a world of possibilities for teachers. But for now, Fontein Kleuterschool’s kindergartners are satisfied with just listening to fictional tales. Today, the entire school is gathered in the gymnasium. It’s hot outside, and the high temperatures also mean high restlessness. The children chatter excitedly, spotting the kamishibai theater at the front of the gym. Today is the day they’ll get a new book: “Nano y Nena,” a story about a boy who meets a mermaid. The story begins, and much like the second-grade students at Colegio Conrado Colonel, the sea of children in green and yellow polo shirts goes quiet. Suddenly, the plot takes an unexpected turn. They gasp. They point. They giggle. And—best of all—they learn. 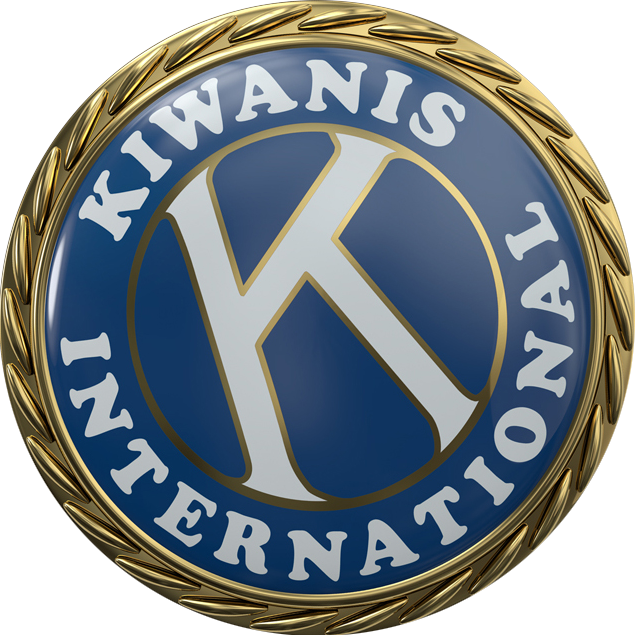 This story originally appeared in the March 2014 issue of Kiwanis magazine.